The Steadman Pavilion (named in honor of the late Rose Steadman, mother of lake residents Deb and Denise Steadman) is the new pride of Webster Lake. The pavilion was built in the summer of 2013. Many thanks to the monetary donors and in kind volunteers who made this project possible. It has been enjoyed by all in every season. 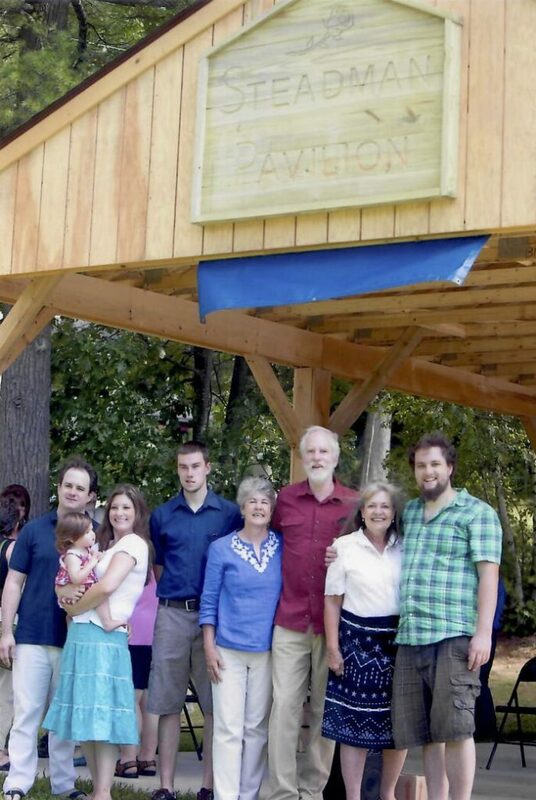 The Pavilion was dedicated on August 30, 2014 at a well-attended ceremony. If you would like to book the pavilion for your event, please contact Krystal Alpers at the City of Franklin Parks & Recreation Department.